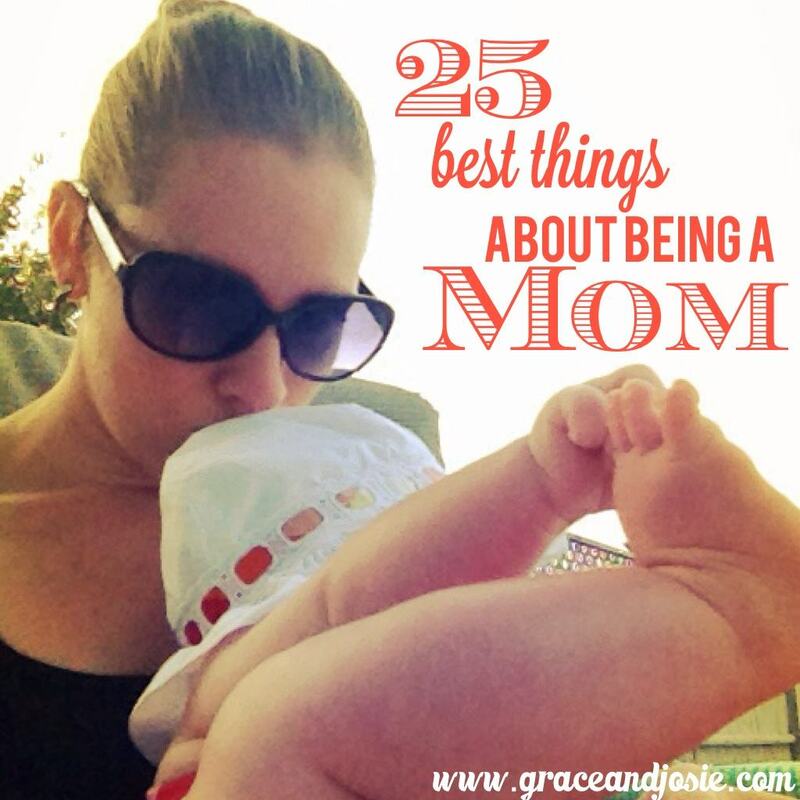 Hey Moms! If you're here, I hope you're ready to buckle up for a great summer. With a few life hacks, I'll help you conquer some of the more annoying challenges that summer presents. 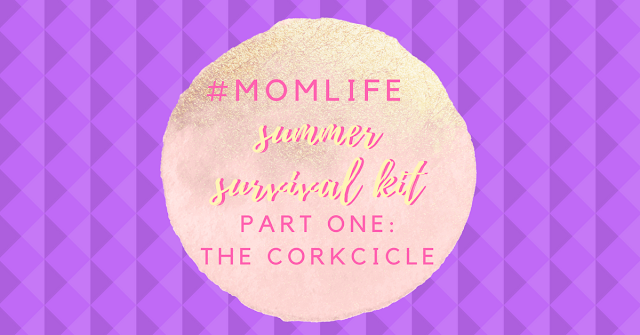 Part One of our #Momlife Summer Survival Kit is the stemless Corkcicle. The perfect size insulated tumbler that can transition from morning to night and not break a sweat. And by morning I totally mean iced coffee, and by night I obviously mean your alcoholic drink of choice (I'm partial to the white and rosé varietals, but to each her own). Keeps your beverage of choice ice cold for 9 hours. Comes with a sippy top so bugs don't end up in your wine. *The links in this post are Amazon Affiliate links. Another day, another great sale! This time of year (late June - 4th of July) is a great time to save and stock up on summer clothes for kids. If you're a reader of the blog you'll know that I LOVE Tea Collection. 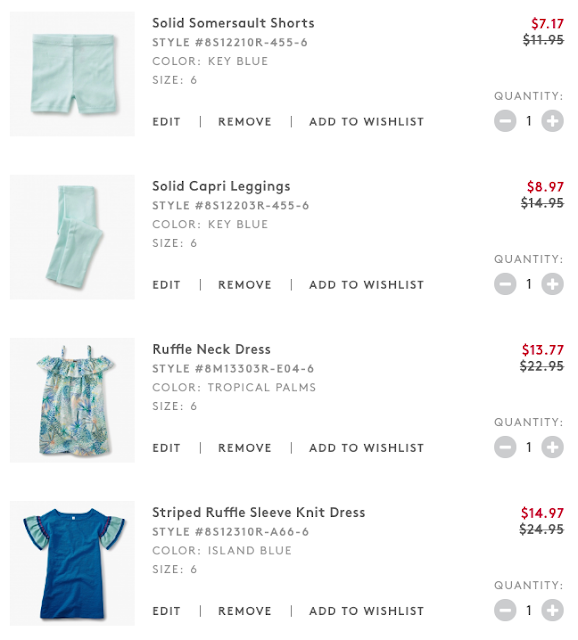 These kids clothes are high quality, super cute and have great resale value, no matter what season. Look below at what I'm planning to buy this time around. Sale On Sale - My favorite kind of sale! *Please note, all links included are affiliate, however, all opinion are my own. I've been thinking of making the switch to Native deodorant for a while. I've heard so many rave reviews through my friends, and really, who feels compelled enough to rave about deodorant? People who love it I guess! Their customer experience on the website is great! The site is clean and makes ordering very easy. I also love the options they have to scents. I ended up purchasing the lime coconut (not shown below, but you'll see it as a seasonal scent on the site during Summer 2018). Use code HEALTH10 to take 10% off your order. Here's another deal, receive a free mini travel sized deodorant with your purchase but clicking here. Summer is awesome! 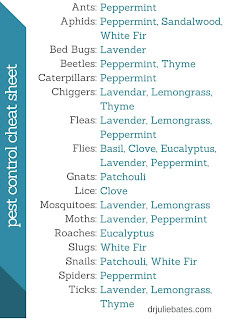 Bug bites are not... 😔 Personally, I have the kind of blood that must make mosquitos run for the hills because I don't typically get bitten. My children and husband however, have that sweet sweet mosquito loving blood. Problem: Bug bites aren't cool, but neither is spraying chemicals all over the place. I first started looking into natural products to replace my regular array of household chemicals when my youngest reached the age where I literally caught her pointing a bottle of Windex at her face. Directly at her eyes. After locking down every cabinet in the house and no longer living a life of carefree negligence (kids will do that to you), I invested in some cleaning supplies from Honest.com and Method. Fast forward to a year ago, and I'm now a mother of two with significantly more parenting miles under my belt. The things I've seen and dealt with... well, I'm sure I don't have to tell y'all. 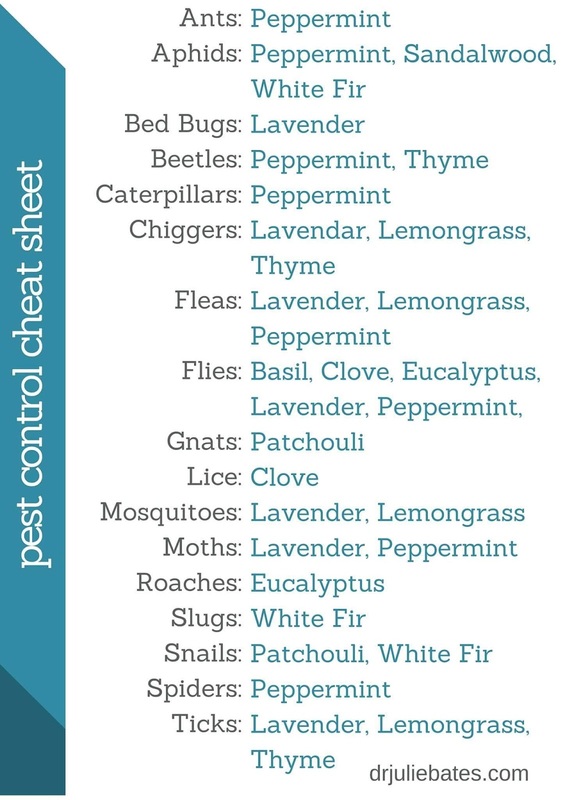 This is a great cheat sheet to use to see what oils to use with your particular bug problem. Personally, I'm always fighting mosquitoes in our yard, and ticks when we go to tick-prone areas (luckily not my backyard so far). Personally, I love the smell of Lemongrass so it was one of the first oils I purchased. 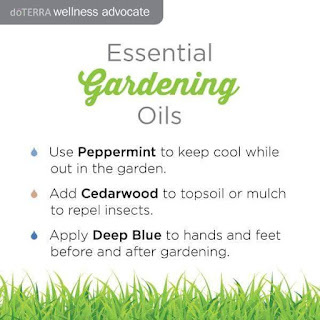 I diffuse it regularly inside for fun and then outside to keep the mosquitoes away. 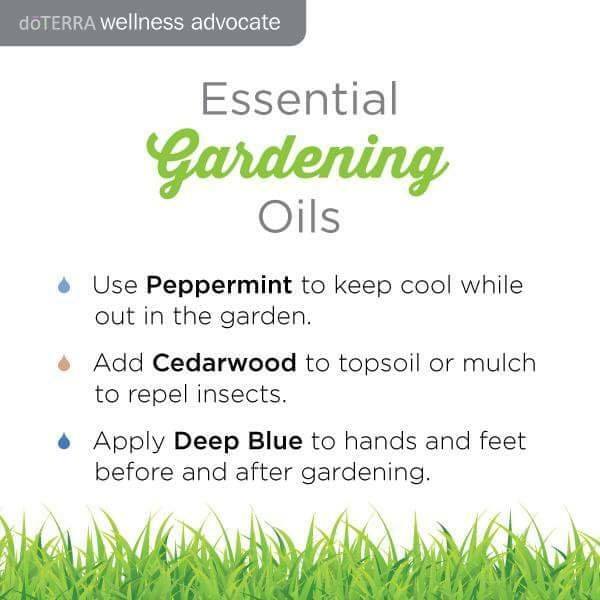 Here are some tips for those who love to garden. I love the idea of adding Cedarwood to soil and mulch. It smells great! Are you ready to try some oils for your family? Let me know! 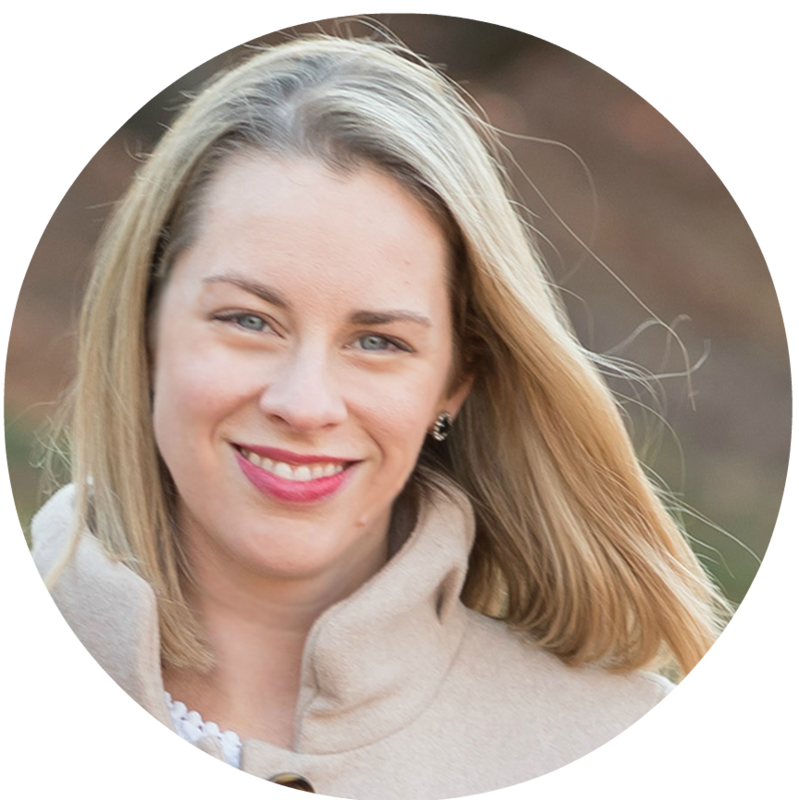 I have some great suggestions about where to start, or even some direction if you are looking for a particular benefit. Once the new sandals arrived, of course the older sister had to have the exact same pair. 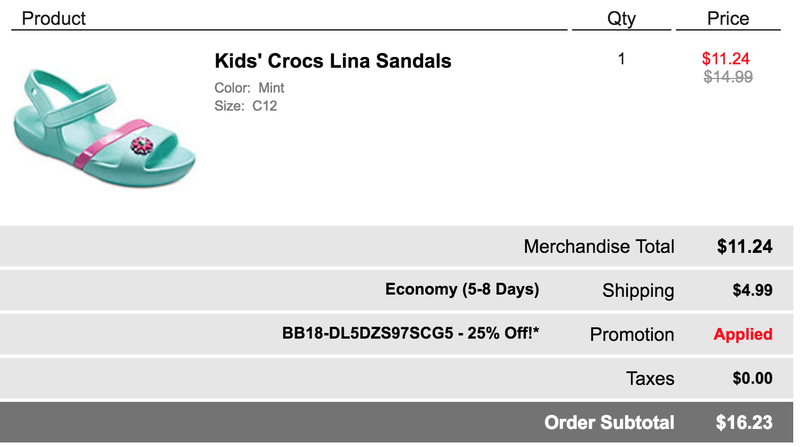 And as it turned out, she really did need some new summer sandals because her Tevas were too small so I headed crocs.com with my 25% off coupon that they sent in original shipment. After finding that same pair was now more expensive than I originally paid, I did a price check on Amazon, before ultimately heading back to Crocs to find an alternative. 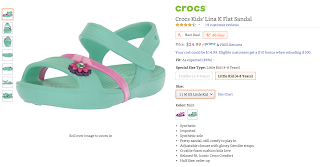 On Amazon, the average price for this sandal is $24.99, with free shipping. 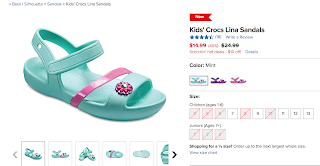 At Crocs.com, the current price is $14.99. Hey! Have you shopped Primary yet? If not, you should definitely check it out! I love that they have high quality basics without the crazy prints and logos. It's a nice balance to add to your kids' closet! I just got this email and thought I would share with my fellow shopping friends. Click here to visit the sidewalk sale. Also, please note these are now affiliate links. Earlier this year I wanted to stock up on some long sleeved tunics for the girls that we could have on hand for cool spring/summer nights. So how have they worked out? Great! I love that they will pretty much go with anything so I can keep them in the car, or just grab them when leaving the house. They are also really high quality, there is a nice thickness to them. So What's Next On My List? Earlier today (I kid you not, today), I had the sleeveless tunic in my cart and now it's ON SALE! Yay!! So I'll probably pick up two sleeveless tunics and maybe a dress? There are also bathing suits on sale which look super cute. Check it out! 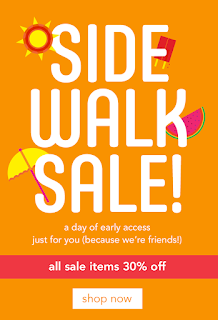 I will again leave you with the link to the sidewalk sale. I can't see when the sale is valid until, but today is June 19th, 2018 so if you're somewhere around that date you might be good! Which brands make the list? Securing the perfect pair of summer shoes for toddlers can be daunting! Luckily, we learned a thing or two the first time around about which brands stand up to the rigors of toddlerhood. 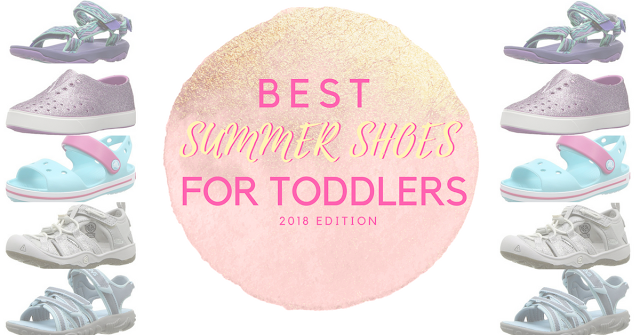 Our summers with two little girls look like lots of sand, getting wet, and taking shoes off and putting them back on 1,000 times a day. That's why the list below are my qualifications for investment worthy footwear. Now, the price points on these footwear brands are not cheap, but they will last and perform as promised. I've listed links to shop them on Amazon, but if you're looking for other places to purchase them here are a few tips. 1. 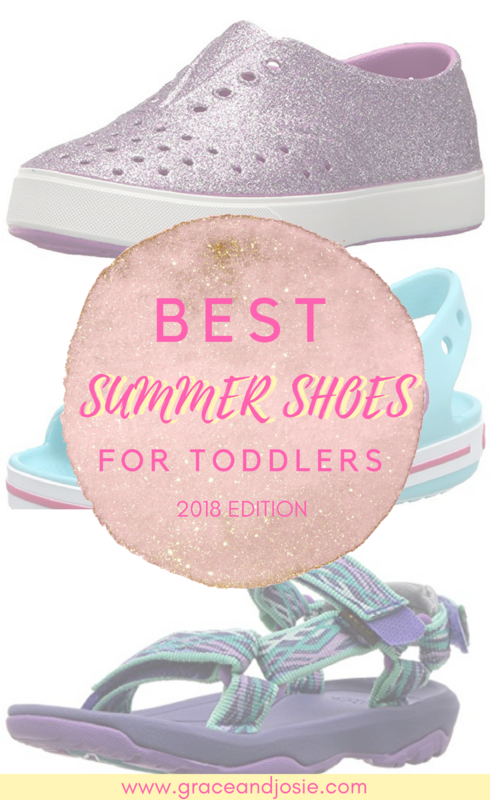 Shop Poshmark - as I've mentioned before, these brands offer solid products that are more than likely able to withstand the one year that most children will actually fit in a shoe. We've bought several pairs of Crocs and KEENS via Poshmark. 2. Sign up for the Crocs' email list for regular sales. I especially like the 50% off clearance sales. 3. Regularly check Zulily for flash sales. I've seen all four of these brands on the site.